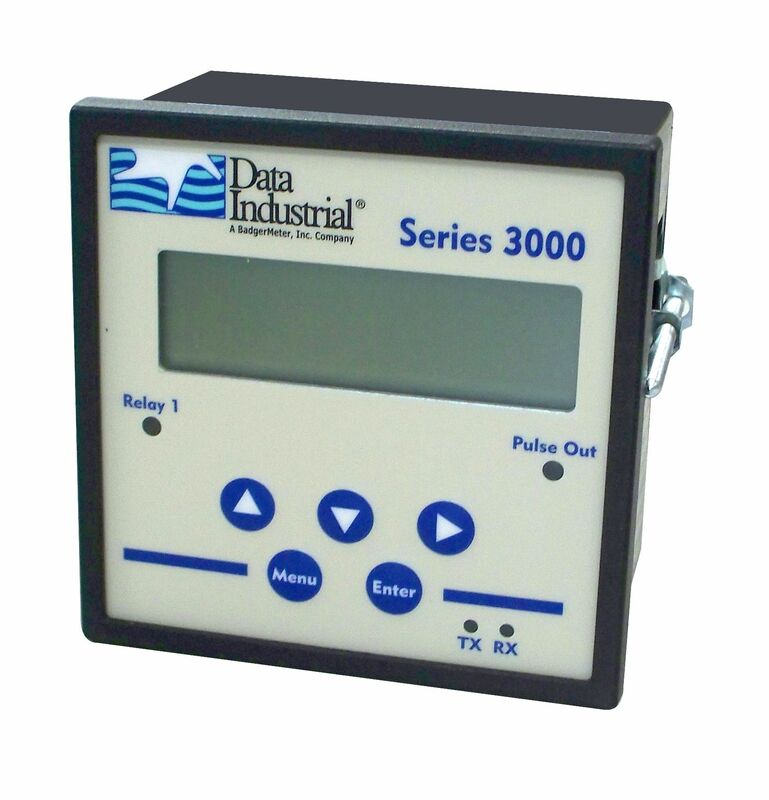 The FC-5000 Flow Computer is a microprocessor-driven device designed for flow monitoring. 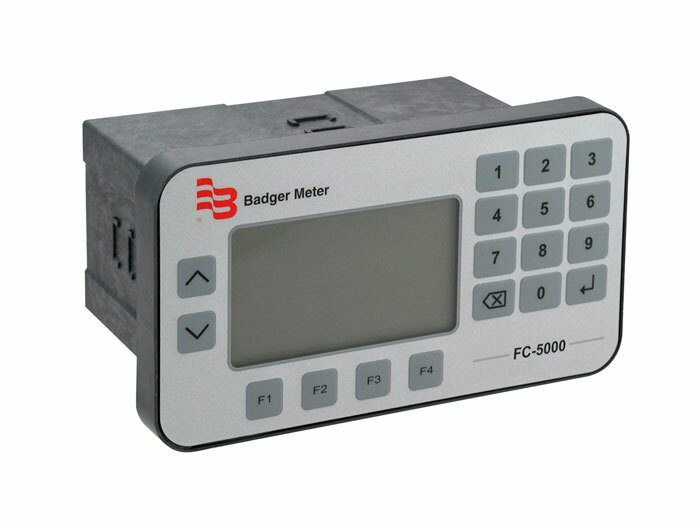 The FC-5000 is designed to be compatible with the complete line of Badger Meter industrial flow meters, creating a solution to totalize and indicate fluid flows. 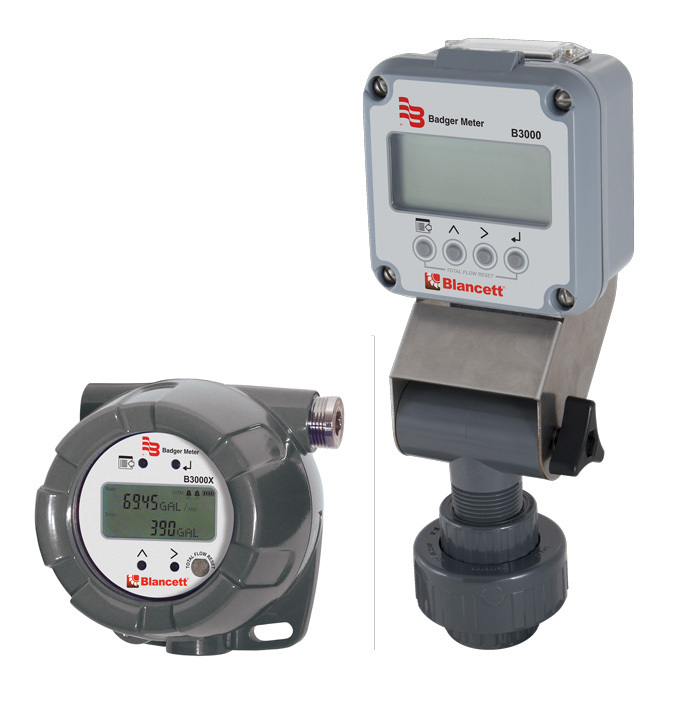 Many years of experience in the industrial market has allowed Badger Meter to incorporate features indispensable in control operations. Input signal—in the form of sine waves or pulses from open collector transistors or dry contact closures—can be scaled to any unit of measure for totalization and instantaneous rate-of-flow indication. 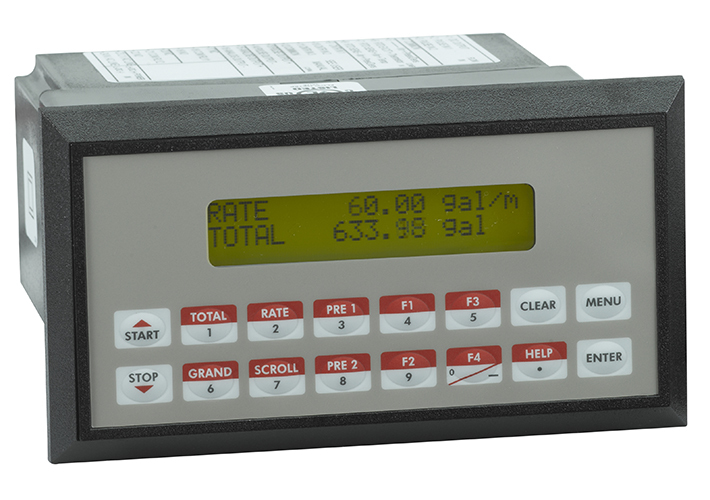 Linearized volumetric flow rate and totals are examples of flow parameters that can be viewed on the panel display or through Modbus communications. Dedicated frequency output channels provide scaled outputs. Additionally, a user-defined smoothing function can be applied for improved stability of the flow readings. When configured with temperature sensor inputs, the FC-5000 can be enabled to utilize proven temperature compensation methodologies that support applications where process temperature varies. This is important because the volumetric quantity and viscosity of the fluid will increase or decrease relative to temperature fluctuations. Additionally, the thermal properties of the fluid can cause the flow meter housing to either expand or contract. Both, unless compensated for, will cause a deviation between recognized and actual flow rates and totals for monitoring configurations that are calibrated using a single reference fluid temperature/viscosity.